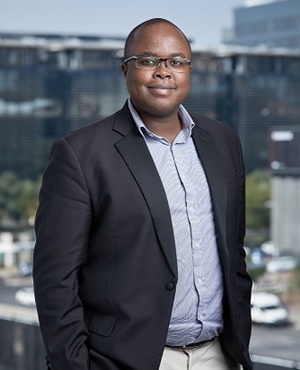 All debt is not necessarily bad, says Nkazi Sokhulu, CEO and co-founder of credit life insurance provider Yalu. "Good debt is used to generate long-term value that provides you with an asset at the end of your loan term and increases your net worth - in other words, it has some investment value," explains Sokhulu. An example would be a bond used to purchase a home. "With low interest rates, and as long as you bought wisely, your property should grow in value so that at the end of the loan, you have a tangible asset with a monetary value that outpaced what you originally paid for it, including the interest on the loan," explains Sokhulu. A student loan is another example. "Getting a tertiary education is likely to secure you a higher future income as a skilled individual. If you’re in a position to obtain part-time work while studying, make a point of paying off as much as you can afford on your student loan each month," suggests Sokhulu. A car is an example of an asset that most people cannot afford to purchase without vehicle finance. "Although a car is a depreciating asset and the interest rates on the loan are typically higher, it's essential for most people to get to work and transport their families around, given the parlous state of public transport in South Africa," says Sokhulu. "The best thing you can do is to pay in extra every month over and above your installment to reduce your outstanding balance as quickly as possible and save on high interesting bearing monthly payments." Bad debt typically has high interest rates and is usually incurred to fulfill a want, rather than a real need, and does not leave you in a better financial position. "Good or bad, too much debt of any kind can leave you trapped in a financial crisis. If you are considering taking on any type of debt, do a thorough financial assessment and make sure that you can afford the repayments and the costs that come with the credit finance," cautions Sokhulu. "Pay special attention to the terms of the loan, and any special conditions, the interest rate and the cost of credit life insurance which most loan providers make mandatory as a condition of the loan." Sokhulu suggests making sure that as much of your installment as possible is going towards paying off your loan amount rather than funding possibly overpriced credit life insurance. "Credit life insurance provides the security for your debt should you become unable to service your loan repayments due to death, disability or retrenchment," explains Sokhulu. Credit life insurance will pay the total remaining balance of the loan in the event of death or permanent disability, or it pays monthly loan instalments in the event of temporary disability or retrenchment. The number of months covered varies from provider to provider, but the legal requirement is 12 months. "What you may not know is that you are not obligated to take this insurance cover with the loan provider. Even on an existing loan, you can switch (to one) that offers better rates and benefits, without any repercussions for your loan as long as there is no break in cover," explains Sokhulu. "Make sure that you understand the financial implications of any debt you plan on taking on, and always ask yourself whether incurring the debt will improve your financial future. If the answer is no, then you’re better off without it."